Pharoah Sanders (born October 13, 1940) is a Grammy Award–winning American jazz saxophonist. Saxophonist Ornette Coleman once described him as "probably the best tenor player in the world." Emerging from John Coltrane's groups of the mid-60s Sanders is known for his overblowing, harmonic, and multiphonic techniques on the saxophone, as well as his use of "sheets of sound." Sanders is an important figure in the development of free jazz; Albert Ayler famously said "Trane was the Father, Pharoah was the Son, I am the Holy Ghost. Born Ferrell Sanders in Little Rock, Arkansas, he began his professional career playing tenor saxophone in Oakland, California. He moved to New York City in 1961 after playing with rhythm and blues bands. He received his nickname "Pharoah" from bandleader Sun Ra, with whom he was performing. After moving to New York, Sanders had been destitute: "He was often living on the streets, under straits, where ever he could find to stay, his clothes in tatters. Sun Ra gave him a place to stay, bought him a new pair of green pants with yellow stripes (which Sanders hated but had to have), encouraged him to use the name 'Pharoah', and gradually worked him into the band." Sanders came to greater prominence playing with John Coltrane's band, starting in 1965, as Coltrane began adopting the avant-garde jazz of Albert Ayler, Ra and Cecil Taylor. Sanders first performed on Coltrane's Ascension (recorded in June 1965), then on their dual-tenor recording Meditations (recorded in November 1965). After this Sanders joined Coltrane's final quintet, usually performing very lengthy, dissonant solos. Coltrane's later style was strongly influenced by Sanders. Amiri Baraka lays claim naming him Pharoah in an early sixties Downbeat review upon hearing him introduce himself as Farrell Sanders and thinking he said "Pharaoh Sanders." Although Sanders' voice developed differently from Coltrane, Sanders was strongly influenced by their collaboration together. Spiritual elements such as the chanting in Om would later show up in many of Sanders' own works. Sanders would also go on to produce much free jazz, modified from Coltrane's solo-centric conception. In 1968 he participated in Michael Mantler and Carla Bley's Jazz Composer's Orchestra Association album The Jazz Composer's Orchestra, featuring Cecil Taylor, Don Cherry, Larry Coryell and Gato Barbieri. In the 1970s, Sanders pursued his own recordings and continued to work with the likes of Alice Coltrane on her Journey In Satchidananda album. Most of Sanders' best-selling work was made in the late 60's and early 70s for Impulse Records, including the 30-minute wave-on-wave of free jazz "The Creator has a Master Plan" from the album Karma. This composition featured vocalist Leon Thomas' unique, "umbo weti" yodeling, and Sanders' key musical partner, pianist Lonnie Liston Smith, who worked with Sanders from 1969-1971. Other members of his groups in this period include bassist Cecil McBee, on albums such as Jewels of Thought, Izipho Zam, Deaf Dumb Blind and Thembi. Although supported by African-American radio, Sanders' brand of free jazz became less popular. From the experiments with African rhythms on the 1971 album Black Unity (with bassist Stanley Clarke) onwards he began to diversify his sound. In the late 1970s and 1980s, Sanders explored different musical modes including R'n'B (Love Will Find a Way), modal jazz, and hard bop. In 1994 he traveled to Morocco to record the Bill Laswell-produced album The Trance Of Seven Colors with Gnawa musician Mahmoud Guinia. Sanders worked with Laswell, Jah Wobble, and others on the albums Message From Home (1996) and Save Our Children (1998). In 1999, he complained in an interview that despite his pedigree, he had trouble finding work. The same year, Sanders appeared on the Red Hot Organization's album, Stolen Moments: Red Hot + Cool, on the track "This is Madness" with Umar bin Hassan and Abiodun Oyewole and the bonus track, "The Creator Has A Master Plan (Trip hop Remix)." The album was named "Album of the Year" by Time. In the 2000s, a resurgence of interest in jazz has kept Sanders playing festivals including the 2007 Melbourne Jazz Festival and the 2008 Big Chill Festival, concerts, and releasing albums. He has a strong following in Japan, and in 2003 recorded with the band Sleep Walker. Pharoah Sanders is currently represented by Addeo Music International. 1990-The Oakland Interfaith Gospel Choir - Live! 2008-Kahil El Zabar's Ritual Trio - Ooh Live! Reuben Wilson,was one of many soul-jazz organists to emerge in the late '60s, but he was one of only a handful of new organists from that era to be signed to Blue Note. By that point in the label's history, most of their artists were concentrating on accessible soul-jazz, and while he occasionally strayed outside of the conventions of the genre, Wilson more or less followed their rule. Between 1968 and 1971, he recorded five sessions for the label. 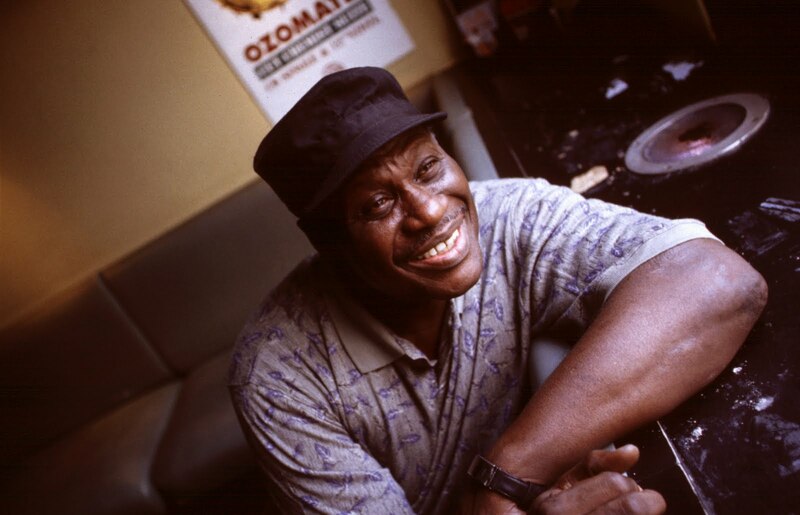 None of his records received much acknowledgment at the time, but they were later rediscovered by a new generation of soul-jazz fans, becoming collector's items within acid jazz and soul-jazz revivalist circles. Wilson began performing professionally in 1962. A native of Mounds, OK, he moved to Pasadena, CA, as a child, where he attended school with such future jazz musicians as Bobby Hutcherson and Herb Lewis. As a teenager, Wilson began to teach himself to play piano, but his attention was diverted by boxing. When he was 17, he moved to Los Angeles and married a nightclub singer, through whom he met a number of professional musicians. Associating with musicians conviced Wilson to return to music. Instead of pursuing the piano, he decided to take up the organ, and it wasn't long before he became a regular at the Caribbean club, where he played with drummer Eddie Williams, guitarist George Freeman, and, eventually, Clifford Scott. He played the L.A. circuit for several years before deciding to try his luck in Las Vegas. That venture proved unsuccessful, so he moved back to L.A., where he struck up a friendship with Richard "Groove" Holmes, an organist who would greatly influence his own style. In December 1966, Wilson relocated to New York, where he formed the soul-jazz trio the Wildare Express with drummer Tommy Derrick. The Wildare Express lasted about six months, playing venues throughout the East Coast and Detroit, and then Wilson decided to concentrate on more complex variations of hard bop and soul-jazz. Eventually, such respected musicians as Grant Green, Roy Haynes, and Sam Rivers began playing with Wilson. Around the same time, Blue Note offered the organist a contract based on a demo he had sent the label. On Broadway, Wilson's first album for Blue Note, was a quartet session featuring his old bandmate Derrick and was recorded in October of 1968. It was followed in March of 1969 by Love Bug, which featured contributions from trumpeter Lee Morgan and guitarist Grant Green. His third album, Blue Mode, was cut in December 1969 and offered some of his hottest playing. With his fourth album, 1970's A Groovy Situation, Wilson moved in a commercial direction, much like many of his Blue Note peers. In July of 1971, he recorded Set Us Free, his final album for the label. Wilson's contract with Blue Note expired after Set Us Free and he moved to Groove Merchant, where he released three albums -- Cisco Kid, Bad Stuff, and The Sweet Life -- during the mid-'70s. Throughout the decade, he also played on sessions by funk, soul, and jazz artists, including a record by the Fatback Band. During the late '70s, he recorded sporadically, eventually retiring from music in the early '80s. By the late '80s, Wilson's music had been rediscovered by a new generation, listeners who didn't dismiss his records as commercial fluff. Like several of his peers, his late-'60s and '70s records, through sampling, became cornerstones in the newly emerging acid jazz and jazz-rap genres. Soon, his out of print records became collector's items, and his sampled licks were appearing on dancefloors throughout England and parts of New York. Eventually, samples of his records were included on hit albums by A Tribe Called Quest, Us3, Brand New Heavies, and Nas. In light of all this new attention, Wilson decided to return to performing, and he toured with Guru's Jazzamatazz revue in 1995. He also began writing new material and performing in new groups, including combos he led himself. In 1996, he signed to Hip Bop and released two albums, Live at SOB's and Organ Donor. The following year, he recorded Organic Grooves with Dr. Lonnie Smith and Doug Carn.